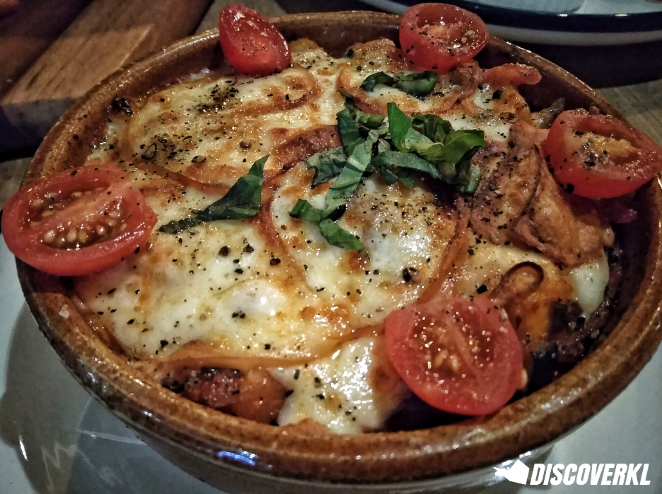 It had been drizzling prior to our arrival at Curious Kitchen and just before dinner was served, the skies let up and the rain ceased, making way for a cooling evening breeze. In fact, I’d imagine the atmosphere to be reminiscent to the day when co-founder of Curious Kitchen, Andrew, spent 4 solid hours sitting at the then empty shop lot, simply enjoying the breeze and contemplating whether this would ultimately be the right spot for his new venture. It came as no surprise that the ultimate decision was yes. Fast forward several months later and the empty shop lot has been transformed into a tri-concept space compete with a bar and an open kitchen concept. And the same way that Andrew shows dedication to finding the right spot for his restaurant, he does too with his food. During our recent review at Curious Kitchen, we had the pleasure of having Andrew and his wife join us for dinner whilst sharing about our collective love for food and for Andrew, ingredients and produce that are good enough to be enjoyed on their own. 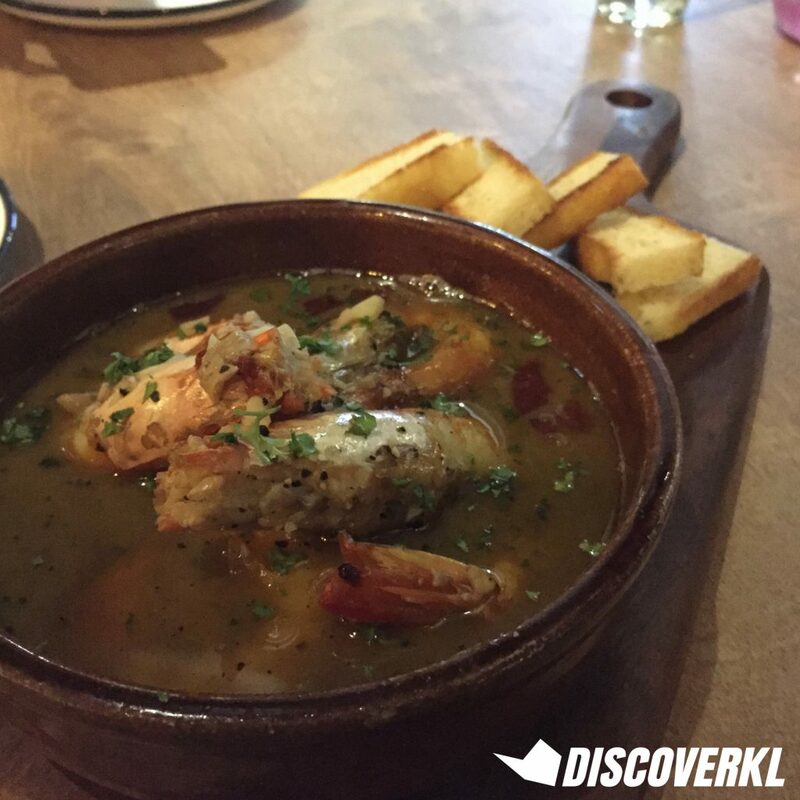 We started off with the East West Garlic Prawns (RM32) which was accompanied with a side of focaccia bread. The focaccia bread is far too easy to mess up in terms of its texture. 9 times out of 10, you’d get a hard-as-rock focaccia that you’d give up on after the first chew. But Andrew firmly noted, “We never give up on our focaccia”. And it shows in the way that Curious Kitchen’s focaccia is almost sponge-like in texture and it’s ideal especially in the way it soaks up the lovely broth that the prawns came in. The prawn, though slightly chewy in texture, was undeniably fresh. It could have done with a little less cooking time perhaps but other than that, it was juicy bite-sized goodness. The Iberico Top Loin (RM95) is actually a cut from the shoulder of a 220kg pig and considering how there is only 500g of meat from the iberico pig, that makes it all the more special and somewhat precious. While guests can request for different cooks on their meat, Andrew would recommend enjoying it medium. In this instance, the top loin has been cooked straight up like a steak and that’s how it gets its colour. It does not taste like pork per se and is closer in flavour profile to beef. Andrew shared that this is because the iberico pig itself is closer to a small bull than it is to a pig. In fact, it’s the closest thing to a wild boar. The reason why it’s so fatty is because iberico pigs feed on acorns or occasionally high grade grain or cereal and they are essentially raised for fat. “Because of that, the pork is already flavourful enough on its own and doesn’t require much. 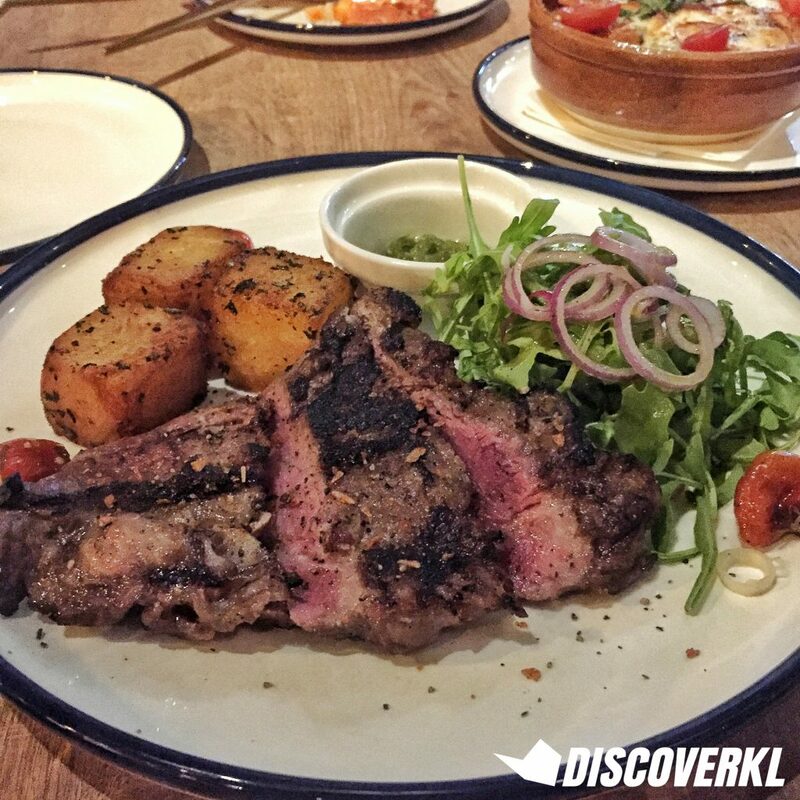 At Curious Kitchen, all meats are marinated with simple condiments like garlic, salt and pepper,” Andrew noted. Special mention: it’s served with wasabi that trumps any ol’ wasabi paste you’d be accustomed to at a sushi joint. Derived from the wasabi plant’s root, it is more flavour than it is spicy. Imagine all the elements of a wasabi but without the spice. Sauces are served on the side at Curious Kitchen. After all, when you serve up lightly seasoned meat at your restaurant, the last thing you want to do is drown your protein in a sea of sauce. Instead, Andrew said that the emphasis is to allow customers to have as much (or as little) sauce as they like. As the Greek saying goes: suum cuique. To each their own. 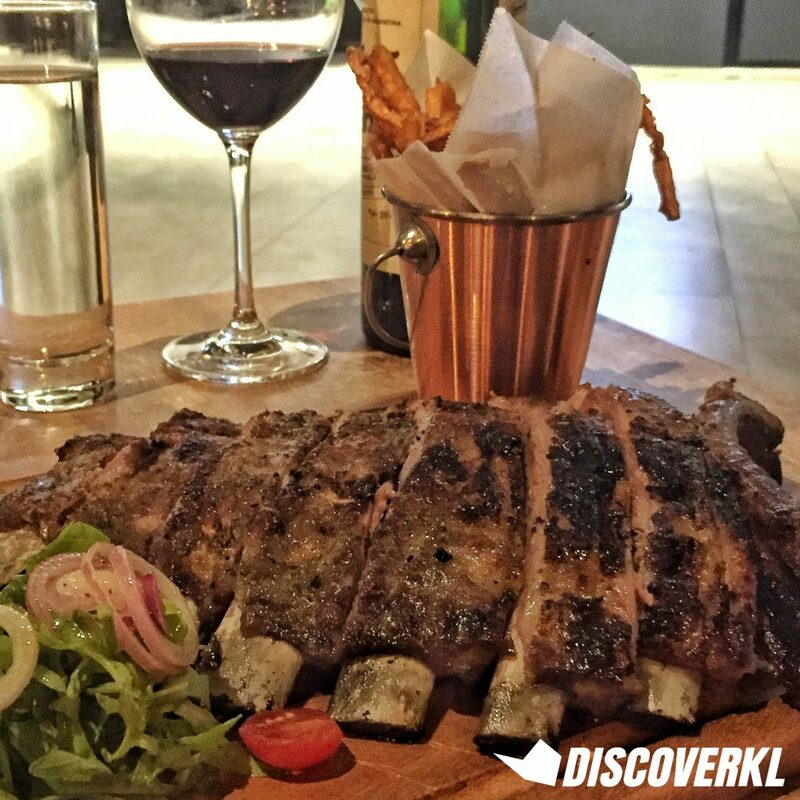 The Iberico Ribs Half Slab (RM110) takes over an hour to prepare and only a certain amount is available daily. As such, it’s on a pre-order basis only. 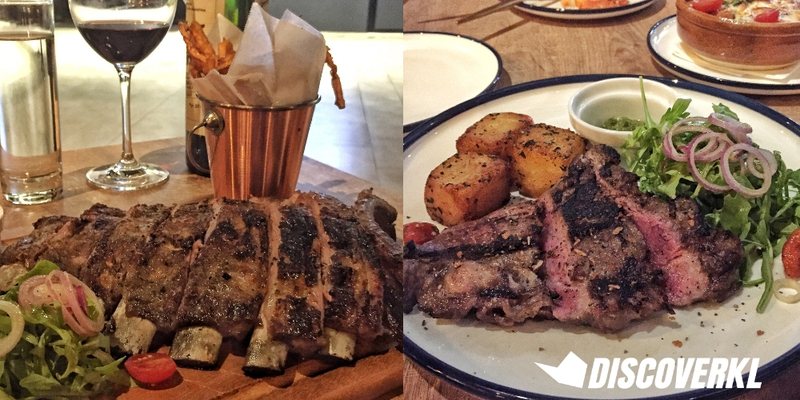 The meat comes off the bone easily and though it is amazing without the sauce, as someone who appreciates sweet-savoury combinations, I could not resist the sauce which is made in-house. Both flavours matched perfectly but with that being said, I dipped the sauce sparingly as I wanted to appreciate the unadulterated flavours of the pork itself. Andrew mentioned how the team experimented with 7 different types of barbeque sauce flavours in the R&D stage before they settled for a smokey bourbon whisky sauce. The Ratatouille (RM8) comes in a serving size which is perfect for 1 (or 2 small eaters). Made with a Parmesan cheese, it is a mix of simple ingredients but it’s simple done right. The vegetables have been cooked to an effortless texture that probably doesn’t even need any chewing. It’s Andrew’s personal favourite as a side and perhaps now mine as well. He mentioned how the ratatouille was once a dish for peasants back in France but it was later introduced as a fine dining dish and the rest as they say, is history. Curious Kitchen’s version cuts through the richness and intensity of the meaty dishes nicely and is a brief respite from the proteins that we’ve just had. You can’t end a meal without desserts and Andrew graciously brought out 2 of the restaurant’s signature dishes which we happily devoured and wiped clean. 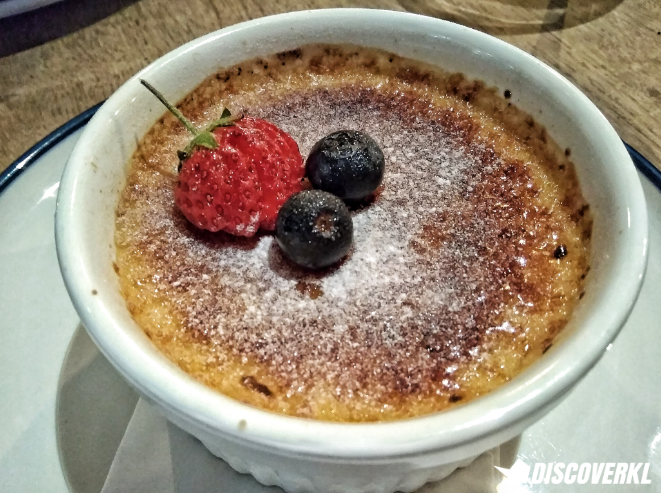 The Crème Brûlée (RM16) is an absolute dream with its melted marshmallow texture that is almost like a creamy vanilla pudding. The intense vanilla flavours and crackly layer of sugar had contrasting textures that worked seamlessly together and where crème brûlées have the tendency of being overly sweet, the vanilla flavour is the strongest note. 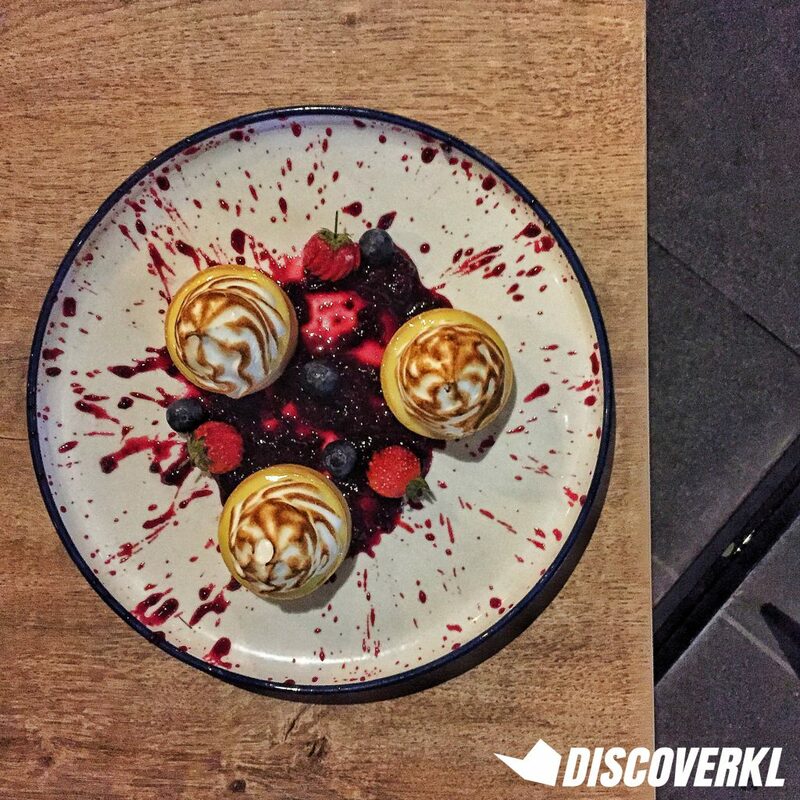 The Lemon Meringue Pie (RM21) is good for those who prefer their desserts tangy. It has a strong zesty note from the lime and berries. Though the tart shell was slightly tough to crack, I do see the purpose of having it be harder, as a soggy crust is just as good as doing away with the crust in the first place. It holds the meringue well and adds more of a crunchy texture. I’d say that Curious Kitchen is more of an experience. The food speaks for itself and the atmosphere is a bonus, a huge one at that. It totally sets the mood for an evening where the only focus is your meal and the people you’re enjoying it with. And I attribute it to the rooftop setting with its inviting breeze—the very same breeze that inspired Andrew to select it as the grounds for Curious Kitchen in the first place.